KENNEDY SPACE CENTER, FL – The fire and fury of the mighty ULA Atlas V got the gorgeous NASA/NOAA GOES-R weather observatory to geostationary orbit just days ago – as a ‘Thanksgiving’ present to all the people of Earth through the combined efforts of the government/industry/university science and engineering teams of hard working folks who made it possible. Check out this dazzling photo and video gallery from myself and several space journalist colleagues showing how GOES got going – from prelaunch to launch atop a United Launch Alliance Atlas V rocket from Space Launch Complex 41 (SLC-41) Cape Canaveral Air Force Station at 6:42 p.m. EST in the evening on Saturday, Nov. 19, 2016. Three and a half hours after liftoff, the bus sized spacecraft successfully separated from the Atlas Centaur upper stage and deployed its life giving solar arrays. GOES-R is the most advanced and powerful weather observatory ever built and will bring about a ‘quantum leap’ in weather forecasting. It’s dramatic new imagery will show the weather in real time enabling critical life and property forecasting, help pinpoint evacuation zones and also save people’s lives in impacted areas of severe weather including hurricanes and tornadoes. GOES-R is the first in a new series of revolutionary NASA/NOAA geostationary weather satellites that will soon lead to more accurate and timely forecasts, watches and warnings for the Earth’s Western Hemisphere when it becomes fully operational in about a year. GOES-R, which stands for Geostationary Operational Environmental Satellite – R Series – is a new and advanced transformational weather satellite that will vastly enhance the quality, speed and accuracy of weather forecasting available to forecasters for Earth’s Western Hemisphere. The 11,000 pound satellite was built by prime contractor Lockheed Martin and is the first of a quartet of four identical satellites – comprising GOES-R, S, T, and U – at an overall cost of about $11 Billion. This will keep the GOES satellite system operational through 2036. The science suite includes the Advanced Baseline Imager (ABI) built by Harris Corporation, the Geostationary Lightning Mapper (GLM) built by Lockheed Martin, Solar Ultraviolet Imager (SUVI), Extreme Ultraviolet and X-Ray Irradiance Sensors (EXIS), Space Environment In-Situ Suite (SEISS), and the Magnetometer (MAG). ABI is the primary instrument and will collect 3 times more spectral data with 4 times greater resolution and scans 5 times faster than ever before – via the primary Advanced Baseline Imager (ABI) instrument – compared to the current GOES satellites. GOES-R launched on the massively powerful Atlas V 541 configuration vehicle, augmented by four solid rocket boosters on the first stage. The payload fairing is 5 meters (16.4 feet) in diameter. 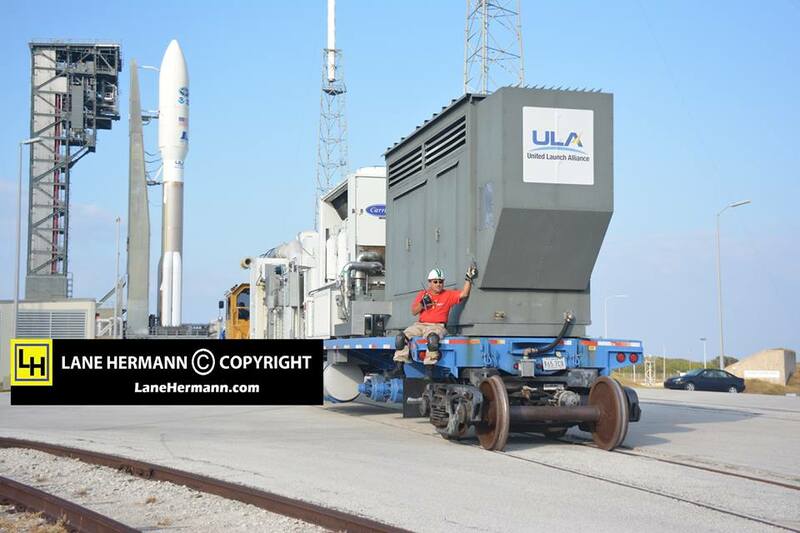 The first stage is powered by the Russian built duel nozzle RD AMROSS RD-180 engine. And the Centaur upper stage is powered by a single-engine Aerojet Rocketdyne RL10C engine. This was only the fourth Atlas V launch employing the 541 configuration. Previous PostPrevious What If We Do Find Aliens?